Agentdraw Ltd, are a leading manufacturing company within the UK plastics industry that specialise in the production of injection moulded components. Our aim is to support your success by providing you with a complete service, from strong, in-house design and engineering through to comprehensive production tooling and manufacturing solutions. Whatever your requirement, you can rest assured that we have a proven track record for developing and mass producing successful products and technologies. Manufacturing is at the core of what we do, but not all we have to offer “injection moulding and so much more”. Our aim is to smooth the transition from concept design to production reality and make the goal of bringing a product or project to market as painless as possible. 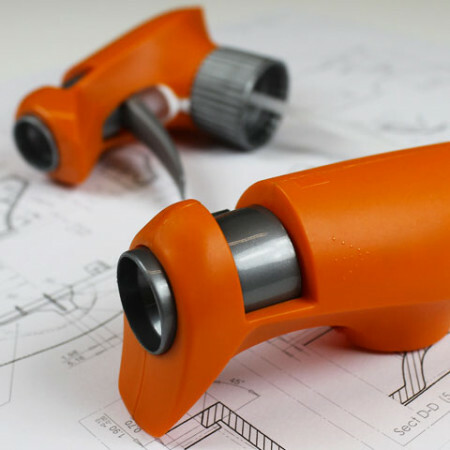 We recognise the need to offer our clients a complete service from concept to delivery, therefore we provide strong design and development followed by comprehensive production tooling and manufacturing services. Whatever you need to get your product into manufacture, we have it covered. From concept design through to full scale production, we deliver solutions to fit your every requirement. Injection moulding is a manufacturing method that will provide you with low cost, efficient manufacture of high quality plastic parts. Whether you require 100 parts or 10 million, we will provide you with the best and most efficient solution. Injection mould tooling is a complicated, technical subject with many options. We take the time to ensure that the tooling solution we offer matches your specific requirements, delivering maximum return on your investment. Our finishing department can print, assemble, weld, glue, pack and collate your products and provide all the services you need to deliver a finished product to your clients. Our design team are first class innovators who will provide you with the support you need to successfully deliver your products to the marketplace. Important information and insights can be gained from a physical prototype in a way that digital CAD data cannot deliver. No two projects are the same, nor do they require the same learning. During the development of your product, it is likely that some level of testing and validation will be necessary.